What Is a Second Trust Deed? Second trust deeds aren't an issue for homeowners in 36 states. They exist only in the 14 deed of trust states – jurisdictions where mortgages are uncommon and a third party, called a trustee, acts as an intermediary between a lender and a borrower. The trustee holds title to the property until the borrower pays off the promissory note; then he conveys ownership to him. The first trust deed provides for this arrangement; a second trust deed is a junior lien to the first. If your home is worth $325,000 and you've paid down your original promissory note to $300,000, you have $25,000 in equity in your property. You might want to access that for any number of reasons, such as if you're facing an emergency that requires cash. You might be trying to sell your home and you want to help out the buyer by financing some portion of his down payment – in this case, you would be the lender in the second trust deed.Just as a second mortgage or home equity loan taps into a property's equity in mortgage states, second trust deeds allow property owners to do the same thing in deed of trust states. Second trust deeds are tied to underlying promissory notes just as first trust deeds are. You borrow an amount equal to a portion or all of your property's equity. You pay it back with interest over a specified number of years. The note term is usually 20 or 30 years, just as with a conventional deed of trust, but a major difference exists. Second trust deeds often involve a balloon payment. Although your loan is amortized over 20 or 30 years, you don't actually have that long to pay off the principal balance. You'll have to come up with it in a much shorter period of time, or refinance the secondary loan with yet another. 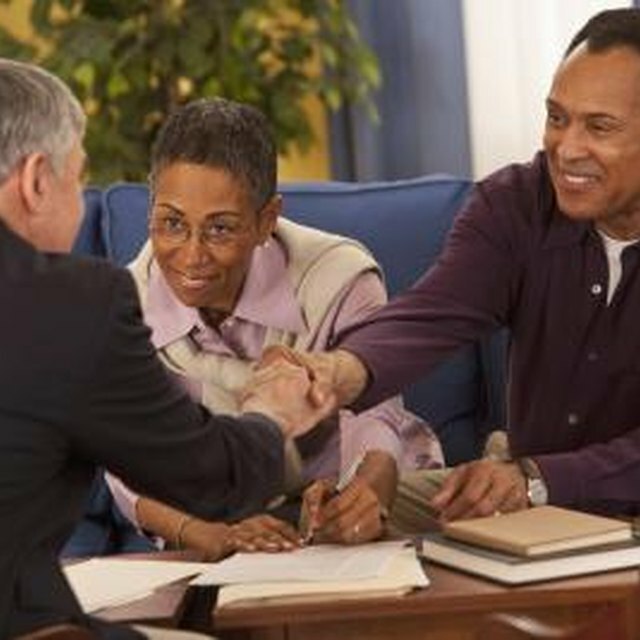 Some risks are associated with second trust deeds, so lenders typically require a higher interest rate to compensate them for taking a chance on you. With deeds of trust, if you default on the terms of your promissory note, your lender can direct the trustee to sell your home. This is a non-judicial foreclosure process and it differs from mortgage states where a lender must get court approval before foreclosing. The trustee for a second trust deed can foreclose just as a trustee for a first trust deed can – but he probably won't. When the second trustee auctions a property in foreclosure, the first trust deed lender always gets paid first from the proceeds. If there's anything left over, the second lender might recoup some of what you owe, but there's no guarantee of this – the trustee might walk away from the sale with nothing to show for all his trouble. How Does Foreclosure Affect a Second Mortgage? What Is a Courtesy Deed? The lender in a second deed of trust has at least one option for collection that the first lender doesn't enjoy. After foreclosure, if the trustee's auction of the property doesn't result in enough proceeds to pay the first promissory note, that lender has no recourse. By law, non-judicial foreclosures typically prevent a lender from pursuing a deficiency judgment that would obligate you to pay the difference between the auction price and your first deed of trust balance. This is not the case for second trust deeds. A junior lender often has the right to sue you for any unpaid portion of its promissory note after foreclosure. This rule can vary by state, however, so if you're concerned, consult with a local attorney.